There are over 90 km of trails on the Boer Mountain trail network - Canada's first IMBA Ride Centre. Explore Tweedsmuir Provincial Park; accessible only by float plane or boat, this northern jewel is a must see. Drive the Ootsa-Francois Lake Circle Tour. This 308 km road trip allows you to delve into an area locally know as "the Southside". Take part in the second largest National Indigenous Peoples Day celebration in the province - held annually at the Spirit Square on June 21. 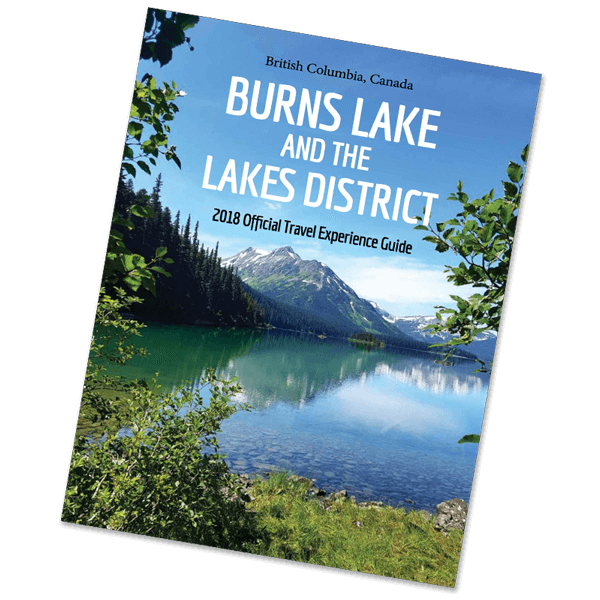 Step back in time at the Lakes District Museum, and discover the rich history of how Burns Lake became the community it is today. Try your hand at fishing - with over 3000 miles of fishing available, the sport has never been more accessible. Stop by the Tweedsmuir Park Rod & Gun Club for the Annual 1000 Yard Shoot; the excellent marksmanship displayed is incredible! Rent a canoe or kayak from the Lakeside Multiplex and paddle your way to BC's smallest provincial park, Deadman's Island. There are a multitude of hiking trails available in the Lakes District; stunning panoramic views and waterfalls make these hikes a must. An abundance of unique cafes, shops, boutiques, galleries, and historic buildings ensure there is something for everyone.